Research studies show that approximately 1.3% of women will develop ovarian cancer in their lifetime. The risk is even higher in a woman who uses talcum powder in the genital area. The statistics raise concern on whether the product is safe for use. In July 2018, 22 women who had sued a pharmaceutical company were awarded $4.69 billion by the jury. They alleged that the talcum powder from company caused their ovarian cancer. Going with the case, should you keep off talcum powder forever, or is the hype around it for nothing? 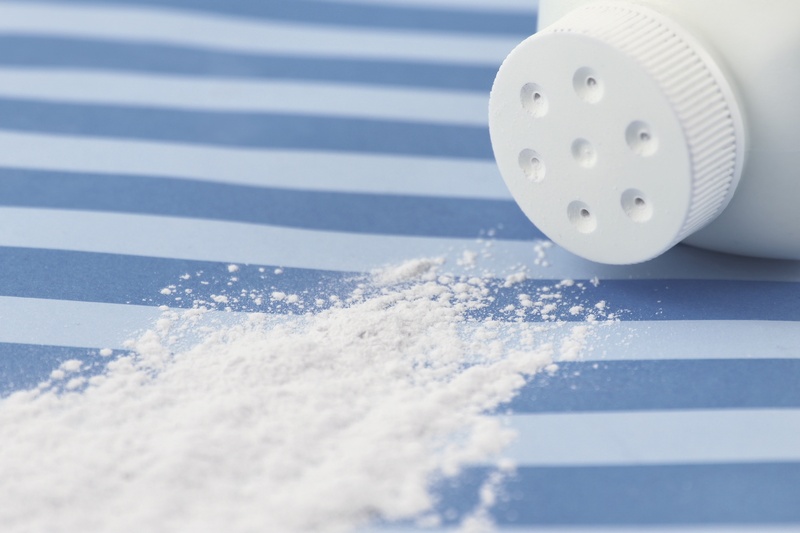 Due to this concern, there’s a need to examine the link between talcum powder and cancer. Here’s what you need to know. Talcum powder is commonly known as baby powder. The main ingredient is a mineral called talc, which is a composition of magnesium, oxygen, and silicone. When in its natural form, the product contains asbestos. Asbestos, when inhaled, is known to cause cancer. However, the talcum powder sold in the U.S. has been tested for asbestos and is free from it. This is where the concern about its relation to cancer arises. Many women use it as a cosmetic product. In its powder form, it’s handy in absorbing moisture and reducing friction. They also use it to reduce the appearance of rashes on the face. The name baby powder is because women also use the talcum powder on babies’ skin. It’s known to be effective in preventing diaper rash. Other uses of the powder are the removal of oil and greasy hair from clothes. At this point, it’s important to understand the difference between talc containing asbestos and that without it. It’s generally accepted that talc with asbestos increases the risk of cancer if inhaled. Evidence around asbestos-free talc is still not very solid. Researchers have carried out various studies in the form of lab studies to establish this link. Most lab tests, where animals have been in the trials, show tumor formation after prolonged exposure to talc. Besides the lab studies, there also have been studies on people, focusing on specific types of cancers. One of the major points of concerns in the study between talc and cancer is the risk of ovarian cancer. The risk of women who use the powder to get ovarian cancer is higher than in those who don’t. The argument has it has the powder particles travel up the reproductive system and find their way to the ovaries. Many case-control studies have found a significant relationship between the two variables. Women who have used the powder have a 30% higher risk of ovarian cancer than those who haven’t. Every time a woman uses it, she increases her risk by 1.7%. Unfortunately, the margin of error is high because they rely on an individual’s memory of talc use. Any increase in risk in any individual case is thought to be minimal since many products contain talc. It’s also worth taking note that there are many risk factors involved in the development of ovarian cancer. As earlier mentioned, about one in every 75 women will develop ovarian cancer. The risk is 12% lower than the risk of developing breast cancer. Unfortunately, there’s no recommended test for ovarian cancer, which makes its early diagnosis challenging. If diagnosed early, a woman with ovarian cancer has a 93% chance of survival for at least an additional five years. The chances of survival drop by 30% if diagnosed at the later stages. Studies on talcum powder involving millers suggest a high risk of lung cancer and respiratory diseases. People who work in talc mines are at risk because of breathing in the particles. Their risk is increased by the fact that natural talc contains asbestos and other equally risky minerals like radon. Studies haven’t shown any relationship between the use of cosmetic talcum powder and lung cancer. Studies haven’t linked the use of talc to other different types of cancer. However, one study has shown a slight increase in the risk of uterine cancer. This is mainly in women who are past the child-bearing age. Limited research has also studied the relationship between stomach cancer and inhaled talc. The evidence is not very strong to lead to a final report. More studies are necessary to establish if there’s a strong link between the two. How Reliable Is the Evidence? Most of the above data is drawn from case-control studies. A group of women with ovarian cancer is studied against a group of women without cancer. The second group is the control group. Information on their use of the talcum powder was collected, including when and how often they use it. The studies did not aim at proving that the use of talc causes cancer, but on verifying if there’s risk associated with its use, especially in the genital area. The women’s memory may not be accurate, but they’re sure about their habits in the use of talcum powder. Most of the studies provide consistent results across the world, showing an increase in ovarian cancer risk among talc users. This enhances the credibility of the research findings. The most convincing evidence is drawn from two control-based studies conducted in 2016. In the African American Cancer Epidemiology Study, 584 African American women with ovarian cancer were compared to 745 women without cancer. 63% of women with cancer and 53% of those without it used the powder. The study found that those who used it anywhere on their bodies were at a higher risk of being diagnosed with epithelial ovarian cancer. Women who had used the powder specifically in the genital area had a 44% higher risk than those who had used it elsewhere. The study also showed a strong link between talc and cancer in African American women. This is because they’re more likely to use the powder. Women in the study who had a respiratory condition such as asthma were also at higher risk. The researchers believe that once in the body, talc makes the body develop inflammation. The condition is potentially responsible for the growth of cancer cells. In this study, the researchers suggested that cancer developed as a result of inflammation by talcum powder. The minds behind the study were from Brigham and Women’s National Hospital in Boston. The National Institutes of Health gave funding to the study. 2041 women with ovarian cancer living in Massachusetts and New Hampshire were selected for the study. Another 1,578 in the same age bracket and without cancer were also selected. It was found that women who use talc in their genital area were likely to be diagnosed with epithelial ovarian cancer. Since some brands of talcum powder are not made from talc, those who used products made from cornstarch were excluded from the study. The study found a 33% risk of ovarian cancer in women who had used talc. Women who underwent hormonal therapy for menopause symptoms were even at a higher risk than other talc users. The possible explanation behind the link between talc and cancer is that it contains some amount of asbestos. The Food and Drug Administration did a study of products made from talc in 2009. They concluded that none of them contain asbestos but stated that not all cosmetics are free from asbestos contamination. Cosmetics companies in the US aren’t required to provide safety information to the FDA. This leaves consumers to rely on companies to provide truthful information. This puts consumers in an awkward position, in which their health safety isn’t promised in their use of talcum powder. What Does the Court Say on Talcum Use? The court has experienced several cases, where women sue various companies that make talcum powder. One company that has been on the spotlight is Johnson & Johnson. Since 2014, the company has been defending lawsuits brought against it by families of women who died from ovarian cancer. Most of the women had used talc powder. In 2016, for example, a case of a 62-year old woman who had died from ovarian cancer was ruled in her family’s favor. Particles of the powder were found in her ovaries. Another woman won a $70 million case against the same company. She developed ovarian cancer, and she continues to fight for the fair labeling of products. One brand includes the warning that “frequent application of the powder may increase the risk of ovarian cancer.” Johnson & Johnson regards the notice as one that would harm business. The company maintains that the claim is not backed by scientific evidence. The court has also at one time ruled in favor of male users of talc. One man in Jersey had developed mesothelioma, a type of lung cancer associated with asbestos. In his case, the talcum powder had been contaminated with asbestos. An investigation by Reuters found traces of asbestos in baby powder from the company in question. The company responded by saying that the particles were too little to pose health problems. To date, there’ve been close to 11,700 cases against the company because of talc-related cancers. It seems that there’s limited data that shows with 100% accuracy a cause-and-effect relationship between the use of talcum powder and ovarian cancer. The court has relied on existing research in determining most of the cases brought before it. The product came to the market many years ago, and its use is widespread. When it first hit the market, the powder may have contained asbestos. Talc that contains asbestos has been banned in personal care products, but you may not know for sure that they’re asbestos-free. It’s not possible to tell how much talcum powder is too much. A theory by Kirsten Moysich, professor of oncology at Roswell Park Cancer Institute, says that risk is dose-dependent. This means that the longer you’re exposed to the talc, the higher your chance of getting ovarian cancer. Dr. Tergas warns people against using the powder daily. This is especially if they’re at an increased risk of ovarian cancer. While the debate on the relationship between the use of this powder and cancer continues, other factors shouldn’t be ignored. It’s crucial to remember that genetics and aging can put you at more risk of ovarian cancer than talc use. Age is a leading risk factor for all types of cancers. While the focus is on talcum powder, it’s worth noting that other cosmetic items also contain talc. Toothpaste, soaps, certain pills, and antiperspirants have talc as an ingredient. The FDA permits its use in the making of cosmetic products to improve their feel. The use of talcum powder has been associated with some cases of ovarian cancer. The significant number of cases in court against some brands that manufacture the product is indicative of the problem at hand. If you’ve been using the powder, don’t feel like you’re next in line in developing ovarian cancer. Remember that the studies only show a possible association, not an exact causation effect. The recent awarding of large amounts of money to plaintiffs by courts is one reason for the hype. Experts suggest that women should minimize their use or entirely stop using the powder. It’s a product for personal comfort and doesn’t provide health benefits. Women can, therefore, find an alternative for its use with much ease. However, the discretion to continue using talcum powder lies with an individual. If you need legal help with such talcum cases, kindly reach out to us.